Directpool.net officially launched a Bitcoin Mining Pool. Its goal is to prevent any future 51% attacks on the bitcoin network by redistributing the total network's hashing power. Directpool comes in as the next generation mining pool to further redistribute total network hashrate while giving back to the Bitcoin community. The Bitcoin community raised concerns about a pool reaching the 51% network hashpower. That pool can potentially control double-spend transactions, affect confirmations and prevent miners from mining valid blocks. Satoshi himself was opposed to centralization of the Bitcoin protocol. The pool had responded by limiting new miners to their respective pool all the way to raising pool fees. Ultimately, the choice for miners was to move their equipment to other pools to greater diversify hash power across the network. The purpose of a mining pool should be to expand bitcoin to better the economic structure. This is where Directpool.net comes in as the next generation mining pool to further redistribute total network hashrate while giving back to the Bitcoin community. Directpool founders brought together a skilled team to provide a Bitcoin pool that will match the services of larger pools and further distribute hashing power. The pool is merge mine ready for Namecoin so miners get rewarded with two coins not just Bitcoins. It features a PPLNS payment system and variable difficulty for better worker load. The team is fully capable of keeping miners’ information and bitcoins safe by using responsible security practices. Directpool sits behind a fully Secure Sockets Layer (SSL) connection to make sure miners’ information stays encrypted and implemented DDOS mitigation for robustness. Another main goal behind starting Directpool was that the founders wanted to give back to the Bitcoin community as that is the key to the future of Bitcoin itself. They have taken the initiative to fund Bitcoin related projects through any donation that may be collected at Directpool. Directpool is collaborating with Bitcoin Business Alliance (BBA) to work out a structure to handle the donations for worthy projects. More information on this will be provided in the near future. "Directpool's focus is to serve the bitcoin mining community, since we are all miners to begin with. 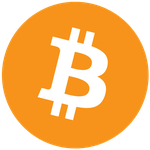 I joined this project to ensure that the bitcoin mining community has an awesome pool that is extremely reliable and secure. Thanks to our web development team, the website looks neat and fresh. I like how my stats are displayed and I can easily access the most used features of the pool in the Quick Stats menu."